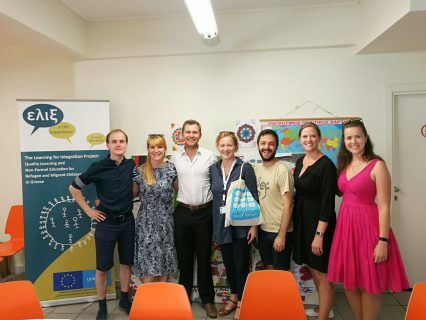 On Monday 25th June 2018 ELIX, Alliance member organisation, was visited by the board of the European Youth Forum. For Elix it has been a great honor to have them there. Through this visit, the YFJ had the chance to experience what an ALLIANCE member organisation is doing. One of the outcomes of this visit has been the invitation of ELIX to an event co-organised by YFJ and the Council of Europe in Athens in September 2018. This could inspire other ALLIANCE MOs to think and invite the YFJ board when they meet in their city and show the result of their work.